Bring an interesting air with a stylish tile design for your bathroom’s floor. Choose the design as well as the finish of the tiles carefully in order to make the space look chic. You can also choose a decorative design. Wall tiles have a huge selection of borders and decorations as well as materials that will blow your mind. Also you can choose a decorative design that will act as an accent wall bringing a strong pop of style. 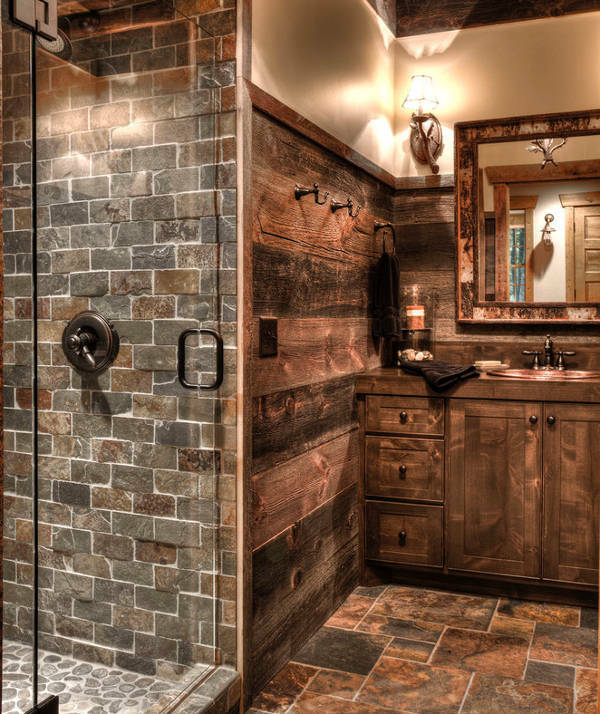 Your shower can be the focal point of the bathroom just by using an interesting tile design. 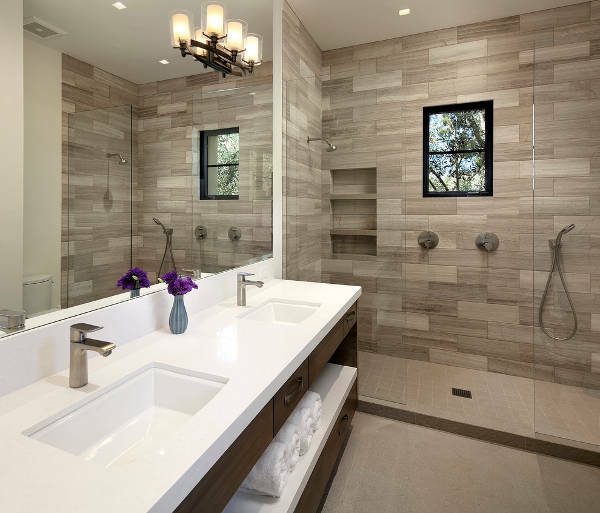 You can go for a natural touch with stone or wood look ceramic tile. 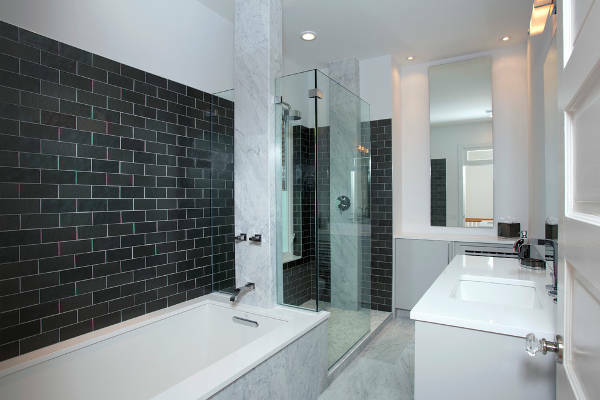 You can also choose a classic subway tile design. Subway tiles can be used in every style. From traditional to eclectic you will find the right match for your space. As for the grout, you can choose a colored version for antithesis or a matching one for harmonious look. 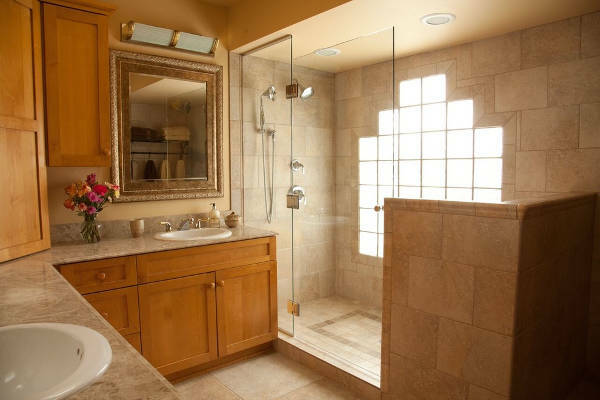 In case your bathroom is small then choosing a smaller sized tile design is going to make it look larger. 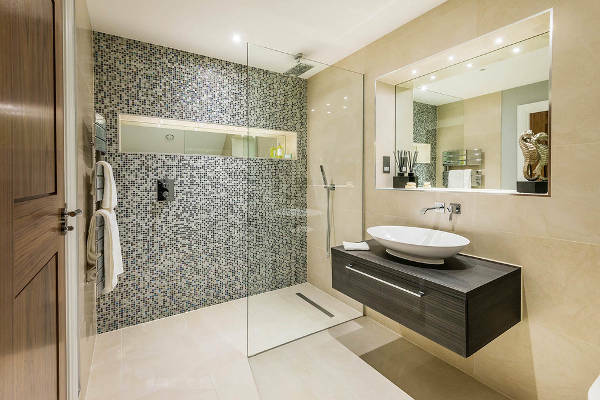 You can use any design you like as well as colorful patterns in order to create an interesting and pleasant bathroom. 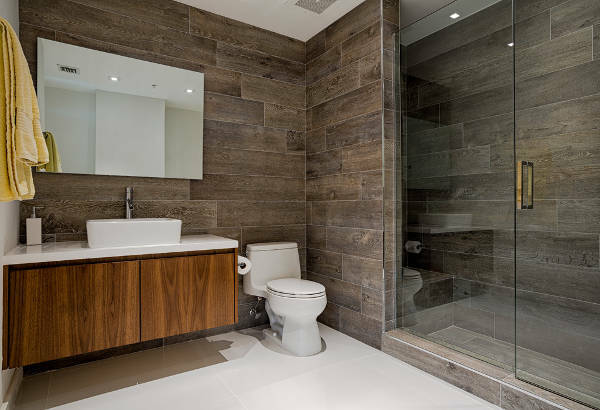 If you like the classic looks of wood, but you want a low maintenance option then you can choose a tile version. These designs have a great imitation of wood that looks realistic, while they have water resistant qualities. 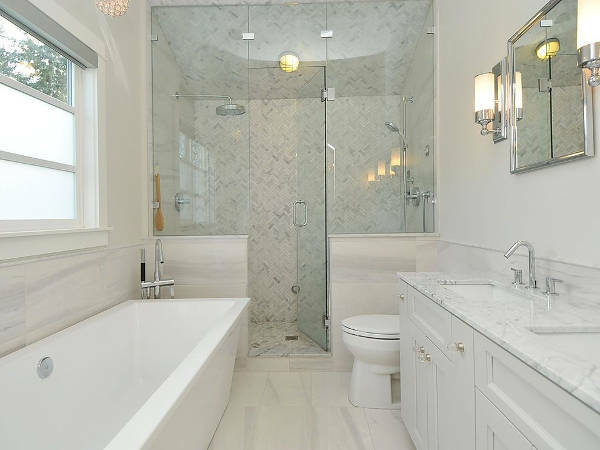 Marble tiles are a statement of luxury and sophisticated elegance. They look amazing on the walls and floors in every color and style. However you have to be cautious because marble can be extremely dangerous as a flooring option. 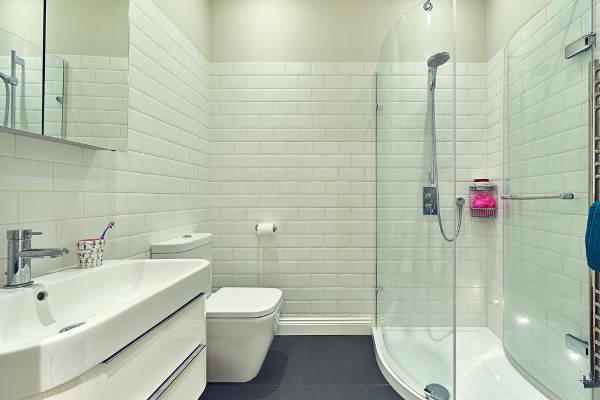 Add a unique design in your bathroom in order to power up the style. Mosaic designs are suitable for borders, accent walls as well as for flooring tiles. You can find the most incredible designs and color combinations with mosaic. 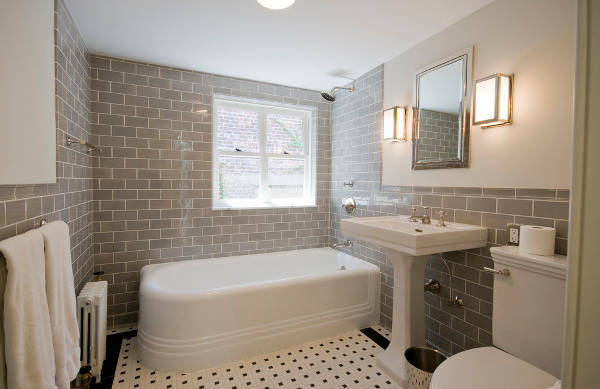 Choose a colored subway tile design or a simple white one with sleek finish in order to bring a vintage style in your bathroom. 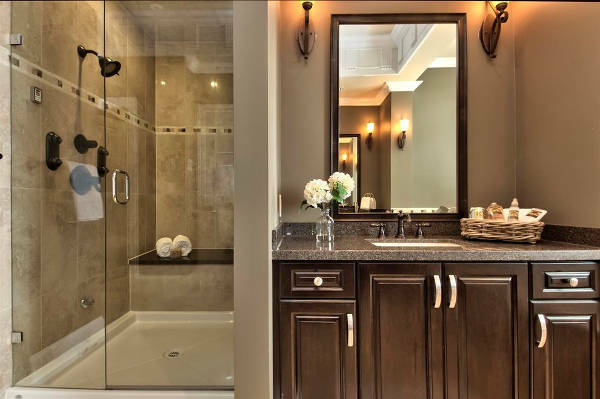 These tiles look fantastic in both master bathrooms and powder rooms creating a classic look. 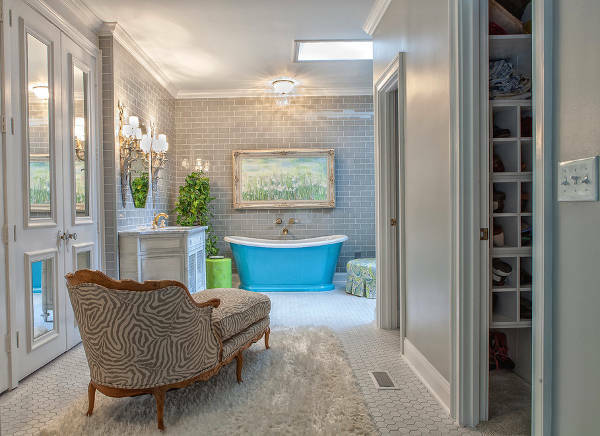 From faux tin to doilies you will find a great variety of bathroom ceiling tiles. 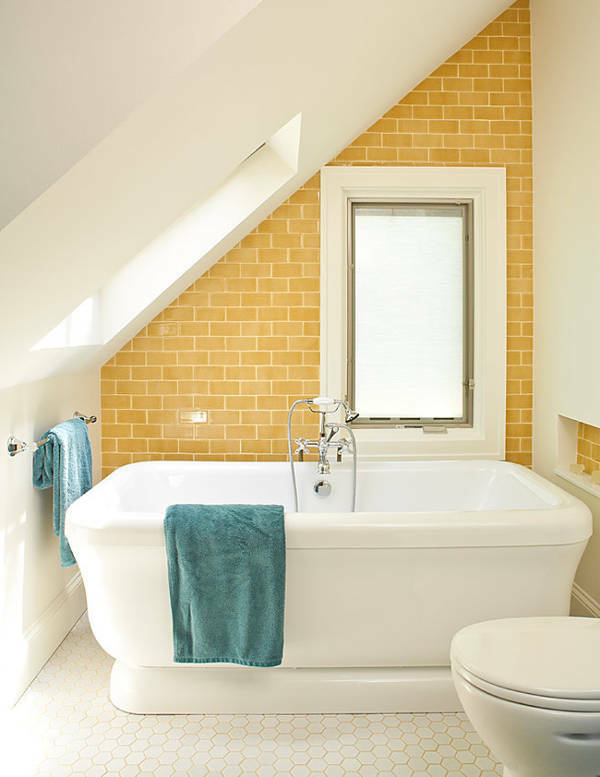 Decorate the ceiling with a creative design that either follows or states the bathroom’s style. Make sure that the tiles are resistant to humidity. Backsplash tiles in bathrooms add a touch of elegance creating an impressive architectural specimen that is sure to amaze. 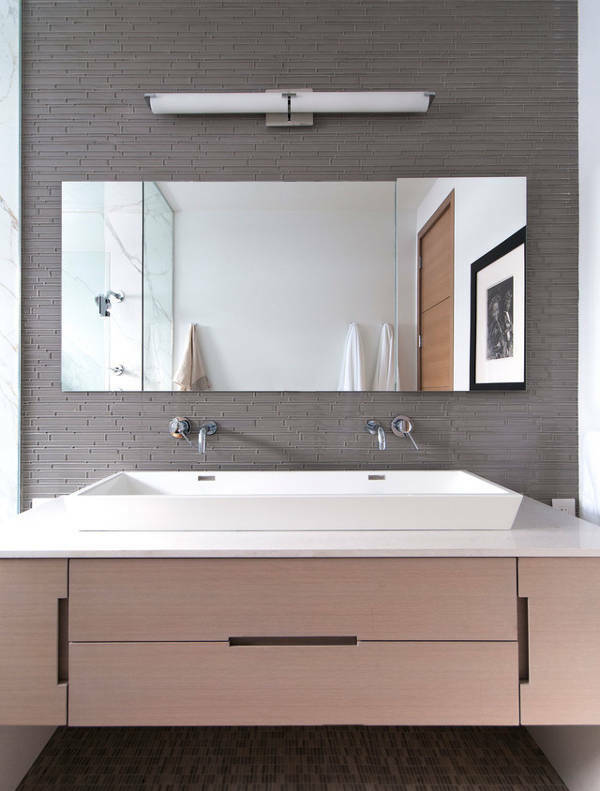 You can place the tiles between the vanity and the mirror or you can frame the mirror for extra style and personality. Stone can be used in every style. It can look cold or warm depending on the design as well as the color choice. You can use stone tiles as an accent design for a wall while leaving the rest painted. 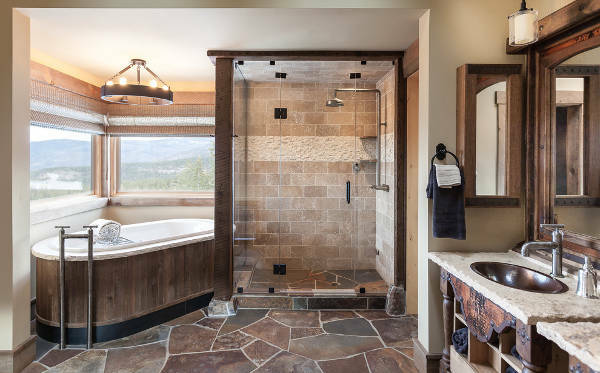 Texture and natural designs are the keys for a rustic bathroom design. You can find 3D tiles for stone imitation that will add a rough look while the wood tiles are going to make the space look warm and natural. You can choose to have an elegant trim or you can create a focal wall in order to create a charming setting. Creative designs like geometric tiles, can give you an extra spark of personality, while the variety of color and finishes will determine how the end result will look.